Was Limetree Bay Deal in July A Good Deal? Or Political Posturing on Mapp’s Part? CHRISTIANSTED — At the time, Gov. 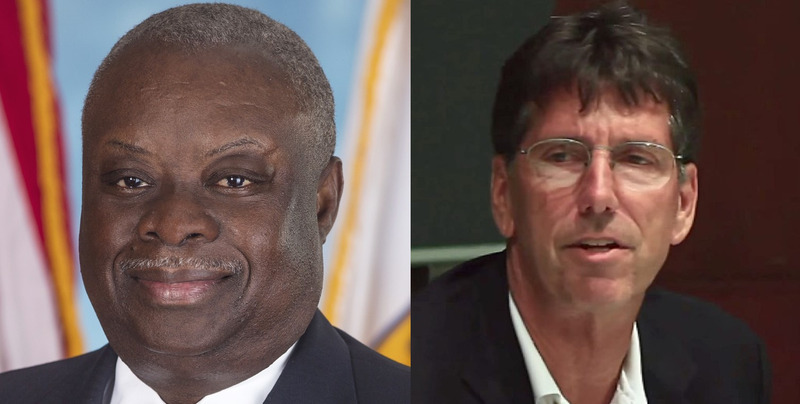 Kenneth Mapp called it a “landmark” agreement. What that means is that it can be “easily seen from a distance.” It doesn’t mean if it’s good or bad. But that is the question. Whether Mapp negotiated a good deal for the territory with Limetree Bay Terminals in mid July. Mapp said in a July 14 press conference that the deal he made with Limetree’s parent company ArcLight Capital Partners will bring the Virgin Islands $600 million over 10 years and at least 1,200 permanent jobs. Independent candidate for governor Warren Mosler said it will pay us about $70 million up front, but will ultimately cost us at least $400 million — future government revenues given up for the payday loan we need now to make payroll. “If the new contract brings in $600 million, it means we would have gotten about $1 billion under the 2015 contract,” Mosler told the Virgin Islands Free Press today. Mosler believes Mapp tricked the 15 senators of the Legislature into thinking they were voting to re-start the St. Croix refinery — when permission to do so was already granted in the start-up agreement. “Not one of our Senators realized Limetree was already restarting the refinery and paying the full taxes from the 2015 contract,” Mosler said. “Limetree already spent $44 million dollars going full speed ahead with hundreds of workers in modular housing — without this new contract. What senators actually voted on was a measure that costs ArcLight Capital $70 million up front, but will grant them nearly half taxes going forward worth at least $400 million. EDITOR’S NOTE: Warren Mosler is a world-renowned progressive economist and financial professional with nearly 50 years of global banking and securities experience. Can we vote for the most qualified candidate already?